HAWKS is an organization of like-minded men formed to promote the belief that all men have the right to keep and bear arms, to teach and engage in the art of self-defense by lawfully and responsibly using a firearm. To promote the belief in 2nd Amendment through meetings and functions, giving safety instructions for youth and beginning shooters, as well as experienced and seasoned marksman and assisting with projects that benefit the community and its citizens. Each member pays dues of $36.00 annually, which entitles him to vote on any and all motions, to hold any office available, to work on committees of his choosing, take part in any projects the HAWKS endeavor in, to participate in any competition the HAWKS may be involved in or to do nothing, at all, but enjoy the fellowship and comradery. The annual dues, also, entitles him and his wife to attend our annual awards banquet without charge. Prospective members must have a License To Carry a firearm, be a member of the NRA, and recommended by another member. Hawks by-laws are posted on website; www.hawksofeasttexas.com which you are encouraged to read. (no pass word required). 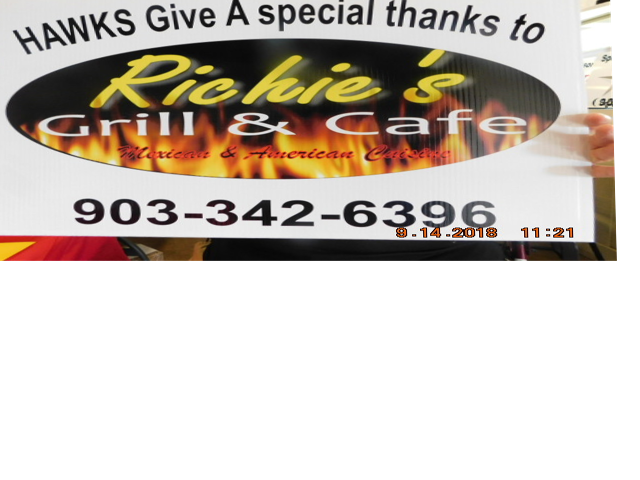 Hawks have weekly coffee/breakfast at Richies, a local restaurant every Wednesday morning from 7:30, not a meeting just fellowship. Visitors welcome.The monthly business meeting is at First National Bank Community Room (second floor) the first Thursday evening of each month start time 6 pm, except January and July due to Holidays. Hawks conduct club business, enjoy a speaker from Law Enforcement, military, the legal community or anyone with something interesting to share with our group along with refreshments. Copyright © 2019 HAWKS Gun Club of East Texas. All Rights Reserved.